Join the Core Crew Cider Club Today! Join Now! Click Here! We offer two levels of our Cider Club, the 3 bottle club and the 6 bottle club. 15% off your 3 bottle shipment of Santa Cruz Cider Co. We choose the ciders that will be released with every club shipment. When we have special releases we will include one bottle of the special release cider. If there is a specific cider that you wish to skip or double up on simply respond to our pre-club shipment email that we will send out two weeks prior to release date. Your 15% discount will be extended to additional bottle sales at time of pick up. You will also receive 15% off all merchandise made by Santa Cruz Cider Co. Club shipments will be ready for pick-up or shipment every March, July and November. 20% off of your 6 bottle shipment of Santa Cruz Cider Co. You will receive two bottles of three different ciders, when we have special releases we will include one bottle of the special release cider. 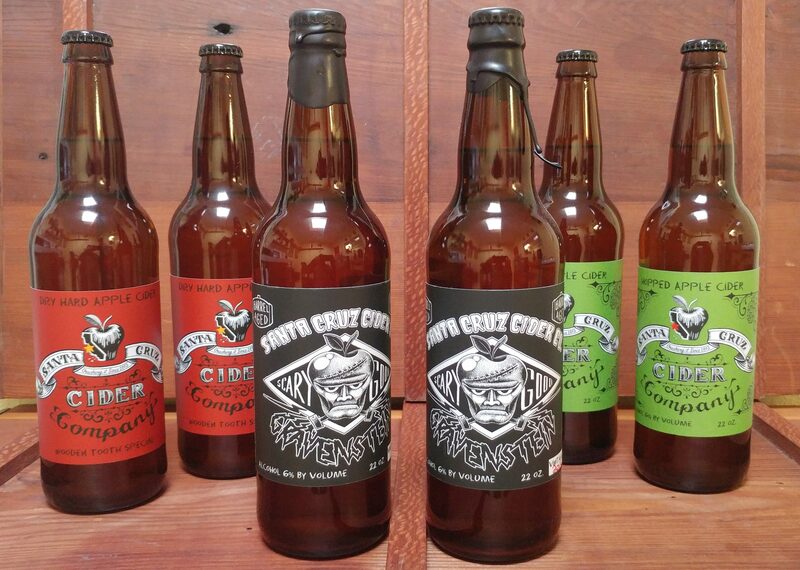 Santa Cruz Cider Co chooses the ciders that will be released with every club shipment. If there is a specific cider that you wish to skip or double up on simply respond to our pre-club shipment email that we will send out two weeks prior to release date. Your 20% discount will be extended to additional bottle sales at time of pick up. You will also receive 20% off all merchandise made by Santa Cruz Cider Co. Club shipments will be ready for pick-up or shipment every March, July and November. Cider Pick up: Pick ups will be at the Santa Cruz farmers markets on Wednesdays from 1-5. Or by appointment At Santa Cruz Cider Co production facility.